An Osborn Wave occurs at the J point and is classically associated with hypothermia. It is also known as a J wave. Other causes include normal variants, hypercalcemia, intracranial events and medication effects. 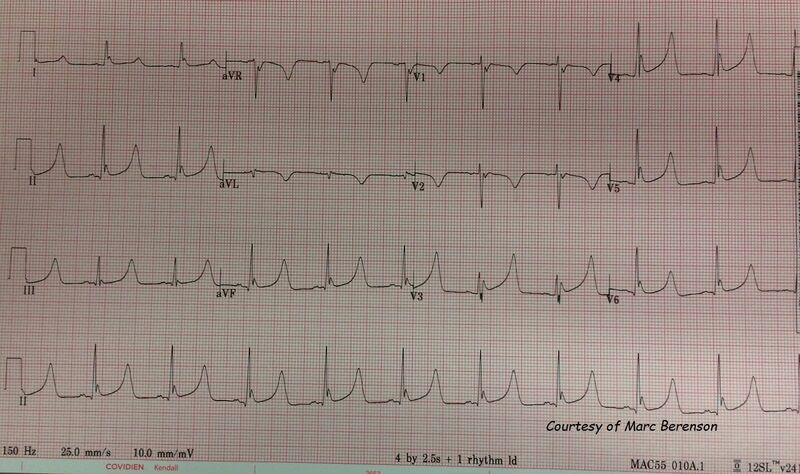 This ECG is from a man in his 20s who was found 'down' in front of his house. He had a history of alcohol consumption. He was not lucid enough to answer questions. This ECG is from a man in his 40s who presented critically unwell on a background of a parathyroid adenoma.